There's always a cop when you don't need one. 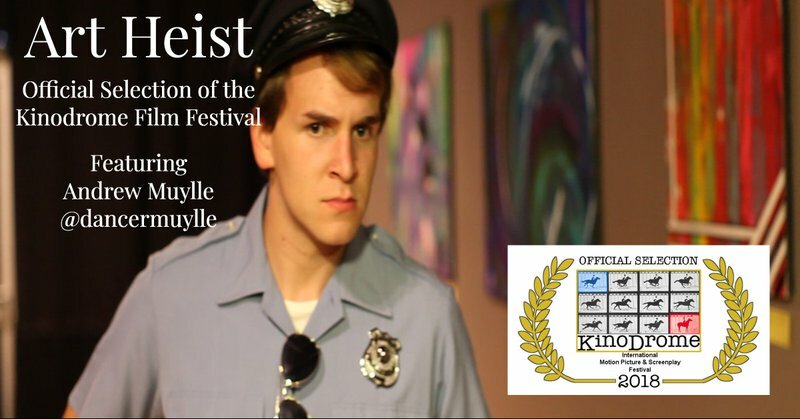 My short film, Art Heist, will be playing in Cleveland on Sept. 30 at the Kinodrome Motion Picture & Screenplay Festival. During the making of this film, Andrew was a great team member, helping out with the sound while other scenes were filmed. Also, he went all-in on the dance scene, and took the film where it needed to go.